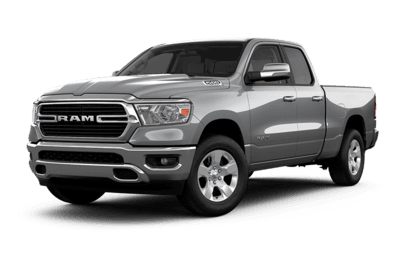 The All-New 2019 RAM 1500 can tow and haul more payload in, on, and from behind. Its towing capacity is now up to 12,750 lb or 5,783 kg, with a max payload of up to 2,300 lb or 1,043 kg. Drive with confidence knowing that the RAM 1500 truck is most capable than ever. 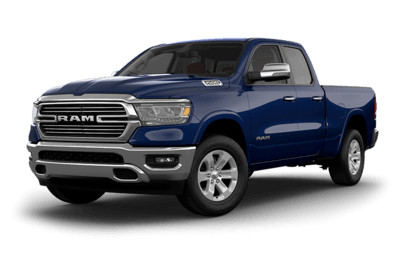 The eTorque mild hybrid system gives the All-New 2019 RAM 1500 more power. The 48-volt battery pack gives this powerful truck a respective 3.6L Pentastar™ V6 and a 5.7L HEMI® V8. 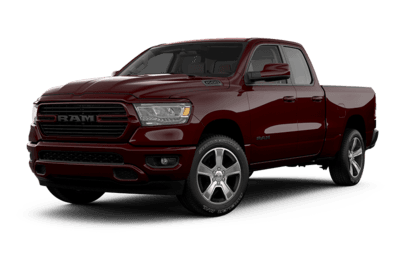 The All-New RAM 1500 truck also gives you options. You can also choose the legendary 5.7L HEMI V8 MDS engine without eTorque. Drive in comfort in an All-New 2019 RAM 1500. Road impact is absorbed with RAM’s Class-Exclusive multilink coil spring rear suspension. The Class-Exclusive Active-Level™ 4 Corner Air Suspension automatically levels loads to improve comfort and capability. Plus, with a push of a button, you can higher or lower height for more aerodynamics. When you open the doors your eyes will feast on more leather and real wood than other trucks. Road sounds are tempered with new tires, the crafted hood directs air away from the wipers, HVAC system operates at lower noise levels, and the Active Noise Cancellation® phases out unwanted noise. Panoramic views can be enjoyed with the dual-pane sunroof since the RAM 1500 was lengthened by 4 inches. Now sitting in the back just got better with reclining seats up to 8 degrees. Air flows can be controlled too. Stash your stuff, file folders, work comfortably on a 15-inch laptop, and charge up to 5 phones using Type-C USB ports. Additional rear seat features are more leg room, a fold-down centre console, and under-seat storage. Extensive testing went into the 2 Class-Exclusive features. Air around the truck is diverted by the Class-Exclusive active air dam. The Class-Exclusive Active-Level™ Four-Corner Air Suspension lowers the vehicle by 0.5-inches at highway speeds. Aerodynamics don’t stop there. Drag is also reduced by the Adjustable Grille Shutters. When they open and close, the elevated hood directs air away, leaving the wiper area clear. Also, the rear tailgate now has a new rear spoiler and the bed rails were also raised. 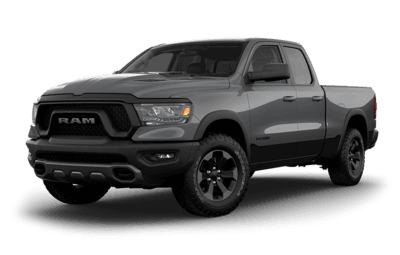 The All-New 2019 RAM 1500 truck has been engineered with an advanced frame. It features 98 percent high-strength steel which makes durability, weight, and rigidity handling much better. This makes driving a RAM 1500 that much better! Getting in and out of the All-New 2019 RAM 1500 is easier than ever before. Available power side steps are now available. You will be able to raise and lower side steps when a door opens or when the truck is in park mode. The key fob makes it easier and not mention cooler to handle the power-release tailgate. It’s also easy to open and close the tailgate during cold and warm temperatures. Get plenty of storage with the All-New 2019 RAM 1500. The Enhanced RamBox® Cargo Management System offers two lockable and drainable storage bins. They also have LED lighting for when it gets dark. Plus, you will also find a 115-volt power outlet and you also will have remote access via the key fob.